What is happening to the South Bucks property sales market? 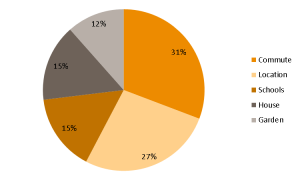 What’s happening in the South Bucks property market? 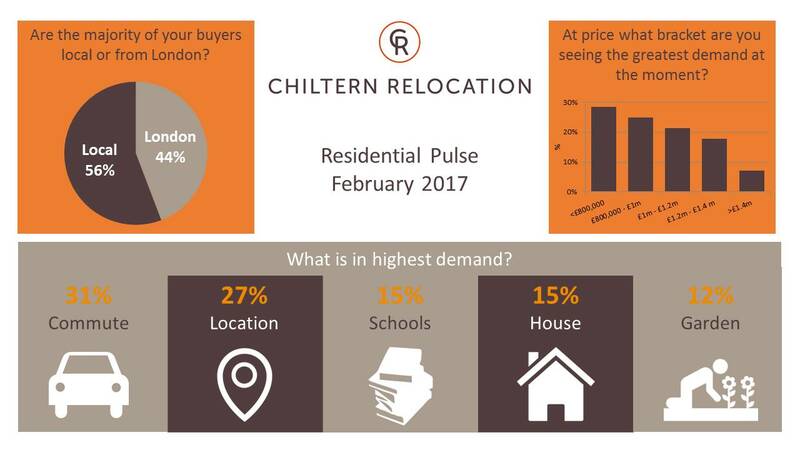 Chiltern Relocation recently conducted a survey with local estate agents to get the low-down on the current market and their projections for 2017. With the economy looking uncertain following Brexit we wanted to know whether this was having a knock affect to the local housing market? What are your projections for the property market for 2017? The overwhelming response to this was ‘steady’. This referred to the number of interested buyers, the number of transactions and the price point. However the majority of agents did point to the shortage of stock being an issue, as Fiona from Gibbs Gillespie Gerrards Cross said: “Demand remains high as quality properties are in short supply – this will ensure prices remain steady”. Ian from John Nash feels that “confidence is returning” and William at Knight Frank pointed to positive indicators: “We have seen a steady stream of buyers heading to the area, notably from London in the final quarter of 2016 and we expect this to carry on into 2017”. At what price bracket are you seeing the greatest demand at the moment? Interestingly a number of agents pointed to below the £1million mark as Gareth from Ashington Page commented: “We are experiencing a stronger market below £1m than above for stamp duty reasons primarily”. However the majority of agents highlighted the £800-£1.3million price bracket as being the most buoyant. At the upper end of the market Ben from Savills commented that the market over £2million was ‘sticky’ yet the market over £4m was moving! 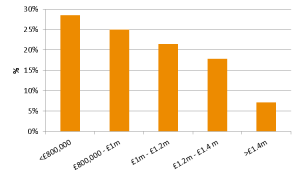 What is in highest demand, ie: garden size, location, commute, catchment areas, number of floors? All our agents agreed on the top three ‘must-have’s’. Given the number of buyers coming from London, proximity to the station was the number one answer to this question – excellent commuting links is the big draw and as a result buyers want to ideally be within walking distance to the station. School catchment and access to excellent schools was second on the wish list and open plan good-sized living space was third on the list. What price point are first time buyers coming in at? This area does offer a wide range of housing opportunities and not just the larger family homes. £250-300 is the entry point where first time buyers can get a flat above a retail unit or similar. This helps to keep the rest of the market moving further up the chain. 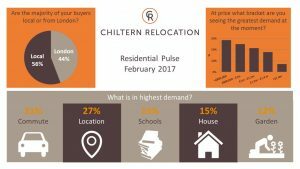 Are the majority of your buyers local, from London or elsewhere? All agents noted that they have a mix of clients between local and London based with the majority of agents claiming that 40-50% of their buyers continue to be from London. William from Knight Frank gave us these figures that help to give a good understanding of the market: “For us the breakdown is Local 41%, London 38%, National 19%, International 2%”. As Fiona from Gibbs Gillespie summed up: “Families in particular are moving from London to the area due to the better quality of life and access to good schools”.